Implementing agile at the enterprise scale level is not a simple straightforward process. 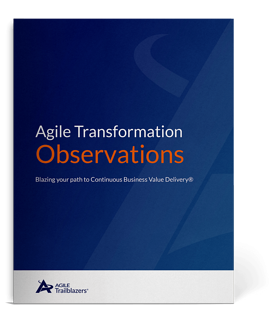 See 7 observations learned from helping a variety of Fortune 500 companies through their agile transformations. This guide is a perfect complement to help readers understand what it takes to deliver a sound implementation plan. In 7 easy steps, our experts tell you based on their observations what you need to look out for.